A Year of Being Here: Laura Davies Foley: "To See It"
"To See It" by Laura Davies Foley. Presented here by poet submission. 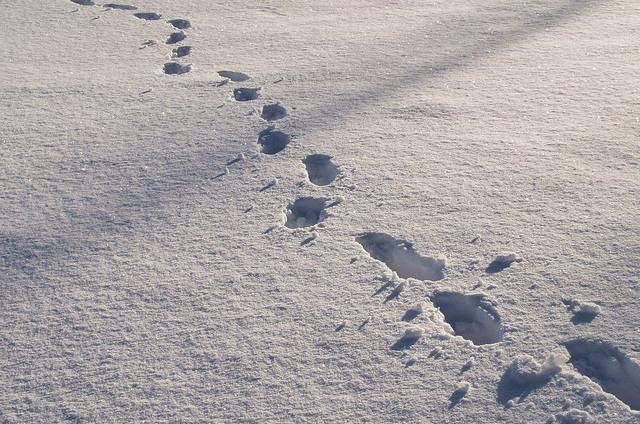 Art credit: "Footprints in snow," photograph taken on January 27, 2007 by CC/Flickr/Andrei Niemimäki. Thank you Laura for sharing your lovely poem. Your words paint a heartwarming scene. A wonderful poem of gratitude and perfect for the season! All of her work is remarkable!